Vung Tau is the tourist and commercial center of Ba Ria – Vung Tau (an industrial province in Southeastern Vietnam). 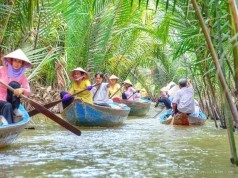 A popular weekend escape from HCMC as it just takes 90 minutes driving from HCMC. Vung Tau rocks at weekends when beach-starved locals and expats descend in numbers, but it is relatively quiet during the week. The city enjoys a spectacular location on a peninsula, with ocean on one side and mountain on the other, the light and sea air makes it a refreshing break from sultry Saigon. Vung Tau Lighthouse: first built in 1907 on the lower peak of Small Mount. The lighthouse affords a panoramic view of the whole Vung Tau and is a really interesting site. White Palace (Villa Blanche): built by the French (1898-1916) as a summer holiday house of French Governor General Paul Doumer. Today Villa Blanche exhibits hundreds of antiques collected from Cau Islet-Con Dao and is the culture destination attracts hundreds of tourists every day. Vung Tau also owns two famous golf courses: Vung Tau Paradise Golf Resort where is located right in the heart of Vung Tau City or The Bluffs Ho Tram which is designed by the legend golfer Greg Norman. The Taiwanese-designed 27-hole course is Vietnam’s first seaside golf course. It was built on a slope gently terrain, so expect many changes in elevation and uneven lies. A great deal of the natural brush, plus numerous sand bunkers have been incorporated into this course’s design that offers a challenging play to golfers of all levels. The perfect combination between the green of the course and the blue of the ocean creates an endless view that make an enjoyable and peaceful place to escape from the daily stress and tiredness. Although Vung Tau is one of the most popular tourist destinations in Vietnam, the course at the Paradise resort has had the fewest rounds played, which is surprising considering its quality and the level of facilities available to visitors. 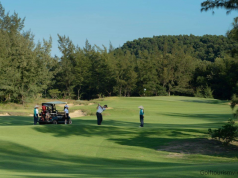 Throughout 15 years of operation, this golf course is the place for not only practicing but also hang out place for both in and outside Vung Tau golfers. This place also a choice for many international tours regarding golf & leisure combined tour or hosting tournaments when visiting Vung Tau. Located on Vietnam’s pristine south-east coastline lies Ho Tram. Once a small beach town frequented by local from Vung Tau city who want to find a different getaway at weekends, it remains a hidden secret to much of the outside world despite the first of up to five resorts planned for the area – The Grand Ho Tram Strip – opening in 2013. And The Bluffs golf course is the “heart” of the complex. The first time golfing legend Greg Norman visited The Bluffs Ho Tram Strip in 2013, he said the site here is one of the two best that he’s ever designed. (the other site is Doonbeg in Ireland). The Bluffs Ho Tram Strip has some of the best geographical traits for a top golf course layout. The stunning course hugs the coastline and features rolling green fairways which cut through towering sand dunes to provide an unexpected and spectacular golfing experience. This course offers a panorama views of exotic beaches promising a new high-class course in Vietnam. Whatever your ability to play, you will find the yardage and challenge to fit your game. The Greg Norman-designed golf course – rated as one of the top eight new courses in the world in 2014 in Golf magazine – isn’t too shabby either! The Grand will host a major Asian Tour event in late 2015 – Ho Tram Open with around 130 PGA professionals taking part. Binh An Village Resort Vung Tau which is located at Bai Truoc, Vung Tau Train Station, is a famous choice for tourists. The hotel is only 1km from city center and easily access other destinations in the city. this place surely bring out an irresistible charm for everyone who stay here. Not only beautiful but also very good in their service quality and modern amenities, Binh An Village Resort can satisfy even the most demanding customers. Day 1: Car pick you up then transfer to Vung Tau Paradise Golf Resort to enjoy a round of golf. 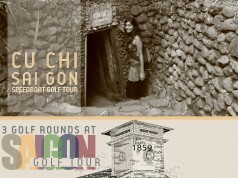 Finished the golf round, you will be back for check-in at Binh An Village Resort and will have free time to relax. Day 2: After breakfast, you will go to The Bluffs Ho Tram to play 1 golf round. 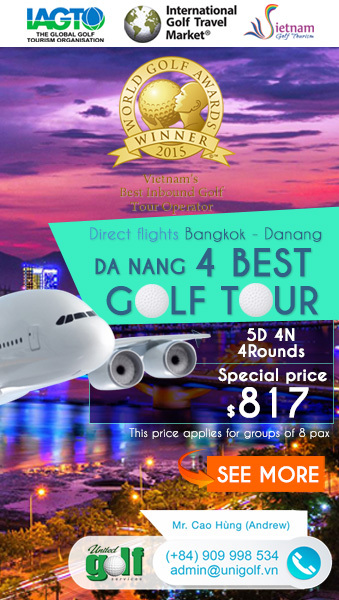 Car will transfer you back to Ho Chi Minh City on the afternoon after finishing the golf round. 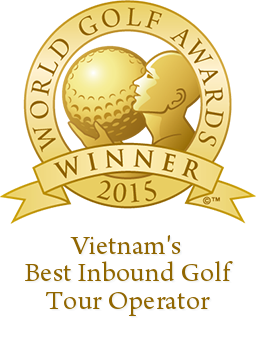 Keyword: vung tau paradise golf resort, the bluffs ho tram.